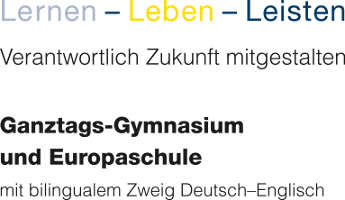 Marienschule has had a very successful bilingual stream since the academic year 2003/04 and benefits from active membership in the Association of Schools with German-English Bilingual Streams of North Rhine Westphalia (www.bilingual-ag-nrw.de.vu). The aim of a bilingual programme is to bring the students up to a higher level in their language skills. They learn to use the foreign language with increasing independence and confidence. How important English is today as the lingua franca need not be emphasised. In a united Europe, a higher level of competency and the ability to express oneself in different subject areas are a considerable advantage in further education as well as in almost every profession. Bilingual lessons help to broaden horizons in every aspect. Even German history through the medium of English offers insights from different perspectives with the aid of authentic English texts. Scientific studies have also shown that bilingual lessons further cognitive ability. Bilingual students have more ways to express themselves, which altogether enable independent work and (further) learning. Bilingual learning is the optimal boost, not just for those gifted at languages. Our experiences up until now, which already stretch back over many years, have confirmed the assets of bilingual lessons. Our bilingual students have a very rich vocabulary that also includes subject specific terminology from the social sciences; they can talk comfortably about a wide range of subject areas and use the English language with great ease and fluency. Even the extended English lessons in years five and six leave their mark. The pupils become accustomed very quickly to “English only, please” in lessons and monolingual explanations of words. They try out their rapidly improving language skills on native speakers with great pleasure, and even contact outside of lessons with their English teacher takes place in English. Emailing, having telephone calls with, as well as visits to and from exchange partners are the ideal testing ground for acquired language skills. In years 5 and 6 of the bilingual stream the English class gets extended by two periods (45 minutes each), so year 5 has then 7 periods per week. From year 7 onwards, a humanities subject (geography) is taught in English, and from years 8 and 9 a further subject (politics and history) is taught in English. On introduction in year 7, the amount of periods per week of the first bilingual subject, geography, is increased by one, whilst the amount periods per week of history is increased likewise in year 8, to compensate for the slower learning progress caused by the extra demands of using a second language and to ensure the goals of the particular subject are achieved to their full extent. Students who continue with bilingual lessons into years 10 and 11 take an advanced course in English and a bilingual humanities subject (history or geography) as subjects for the Abitur (German school leaving certificate). At the end of lower secondary and as an addition to the Abitur Diploma the bilingual students get an official certificate. 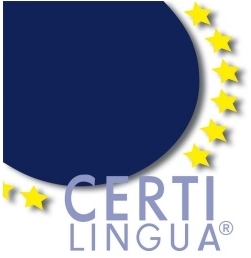 In the bilingual stream Marienschule also offers the possibility of obtaining an extra certificate of plurilingualism: the CertiLingua label of excellence. Marienschule established its bilingual stream. Two of four classes started with additional English lessons. You spoke English every day and even gave yourselves English names, which we kept for a long time. Qendresa is still Jenny, Marita became Mary, Carla was Emily, Rachel wanted to be Annabel and Philipp D. turned into Mike – which, as everybody may guess, caused some confusion on the first parents’ consulting day! Homework like writing postcards and letters in English was actually snail-mailed to the teacher and answered in the same way. E-mailing followed. English became a common well-liked means of oral and written communication. 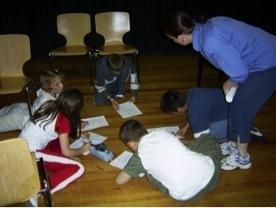 After an English theatre workshop with two British actresses we had our first performance in 2004: “The Courtroom Drama”, a play with a socio-(or rather “animo-“)critical touch, written and performed by Form 5c bil. It is a trial of zoo animals vs. zoo keeper about living conditions. 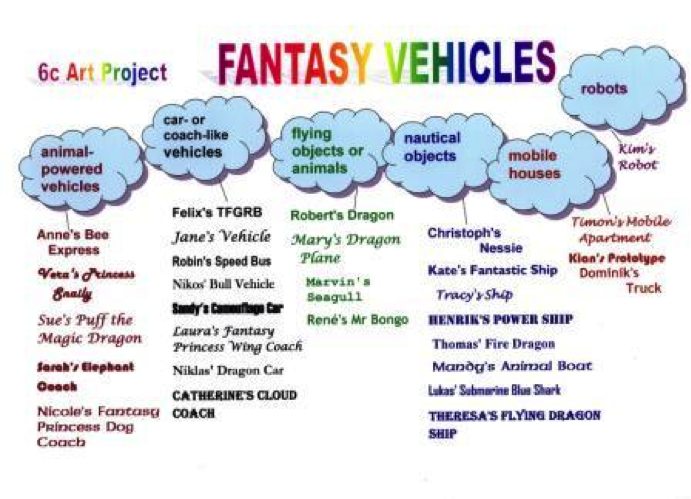 Elephant Claus complains that he can’t jog in his cage, Marvin the Tiger finds his OK, as he can watch TV, Lion John doesn’t like being gaped at all the time by visitors eating fish & chips. 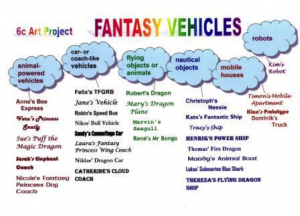 Defendant Zoo director Mr Phil states what he used all the money for: “Cage cleaning, food, bingo, parties …”. While Prosecution Horse Mary wants the zoo keeper to be kept in a cage as a visitors’ attraction, Defence Kangaroo Emily pleads for open zoos and in the end Judge Philipp (“To have a zoo or not to have a zoo – that is the question”) has a very wise verdict and the animals go in two by two, hurrah, hurrah. In 2005 we had another theatre performance: “Harrods New Year Sale”, a play for 32 actors and actresses, written and produced this time by Form 7d bil. It is a multi-lingual play including French and Latin parts. “For our new ara we need vinum and panem.”, says Sister Nogoodia Christina. Deo gratias, her friend Sister Truthia Ann-Katrin hasn’t forgotten their marsupium with the money. And French shopper Sarah, who can parler a little bit of English aussi, wants to buy some crayons, because they are cheaper aujourd’hui. In year 7 you also tested your English on an exchange with Basingstoke (in 2005). You sent emails to your exchange partners and even phoned your host families before the trip. On location you delivered a brilliant performance with your English. The guide on a sightseeing tour in Oxford was so impressed with your questions that she allowed you access to interesting parts that were not included in a normal tour. Back home you wrote your reports. “We had a great time in Basingstoke.”, Lisa reported, “The visit to Windsor Castle was really impressive, but unfortunately the Queen wasn’t there.” Christina’s favourite day was when “we went to Oxford University and visited the library where the Harry Potter film was set.” Halloween was celebrated in Basingstoke and Ann-Katrin went “trick or treating and got lots of sweets”. Later on email-projects with partners in the US followed. Some of you even took part in a German-American exchange that resulted from it. From year 7 on you were taught GEOGRAPHY in English, from year 8 SOCIAL STUDIES and HISTORY as well. You learnt about … the global grid, hemispheres, tropical rain forests, topsoil, snowmelt, ecology, resources, renewable energy, deforestation, heavy industry, environmental pollution, acid rain, demography, population density, democracy, law, globalization, outsourcing, citizenship, economics, statistics, work force, the service sector, manufacturing, colonialism, independence, World War II, peace treaties, revolutions, constitutions, education …..
– successfully, as e.g. Lisa proved by winning a Geography Contest. In the Sixth Form English Advanced Course and bilingual Geography or History were obligatory for the Abitur. Here you chose and specialized in one subject. What’s the craic? The craic is mighty! though the world was turning. and at last, not least, Louisa. 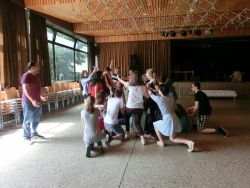 On Shakespeare’s 450th birthday St. Mary’s School Euskirchen was able to offer the three advanced English courses of Q1 (first year Abitur) a special project thanks to the financial support of the St. Mary’s Friends Association: a Shakespeare-Workshop lead by Julius D’Silva. The British actor is a member of the renowned Royal Shakespeare Company, and when he is not currently perfoming in London or on tour, he is making young people excited for the great dramatist. Shakespeare’s theatre came alive. The auditorium in St. Mary’s School became the Globe Theatre where in Shakespeare’s time actors and audience members jointly experienced marvellous entertainment. Out of Paul or Simon was made a Macbeth, out of Michelle or Alina a Lady Macbeth, and everyone was instinctively given into a role according to D’Silva’s apt, funny and quick-witted comments and directions. 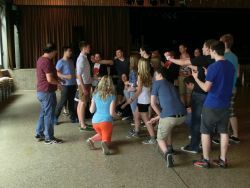 The workshop participants were captivated by the acting coach and Shakespeare’s ingenious lines. Even on their way home, the participants were still reciting them. 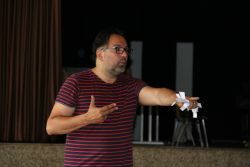 Radio Euskirchen reported in the morning show, during which D’Silva said a few words (with a translated voice-over) and the pupils could be heard and gave their impressions at the end. 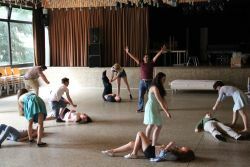 The Workshop was great fun for everyone. D’Silva and Shakespeare delighted. To the question ‚Can Shakespeare say something to us even today?‘ everyone gave a positive answer with good arguments. Shakespeare can still explain to us as clearly and lastingly today as he did 400 years ago what it means to be human in all its facets that life offers.